At Nexcar, we are passionate about helping you find the car you actually want without the hassles and pressures you might experience in a typical sales environment. What makes us different then other car dealerships in Houston, keep reading and we'll explain the key factors that makes us one of the highest rated used cars dealer in Texas. We strive to be your lifetime destination for car buying, which is exactly how we came up with the name "Nexcar". We will do our best to make you feel comfortable, earn your trust, and keep you wanting to come back for that next car whether it's for your spouse, first time driver, or you are just looking to upgrade by trading in your car; We are here to help You! Nexcar is located in the city of Spring located in a beautiful state of Texas. We are committed to serve our neighborhood as well as the surrounding cities of Houston including but not limited to The Woodlands, Magnolia TX, Tomball, Conroe and Sugar Land as well as out of state customers. Live more than 60 miles away and interested in one of our vehicles? If you want to ensure it is still in stock when you get here, contact us to make a deposit so we can put your car on hold! What is NEXCAR doing that is so special? Nexcar is not just a website for cars instead it is about upgrading the car models and auto inventory constantly whenever a new model approaches the market. When you start the search for new car models, Nexcar sets itself as a leader for stocking variety and quality. Don't just take our word for it… check out our customer reviews on the most trusted car buying review site known as the Yelp for car buying, DealerRater.com. 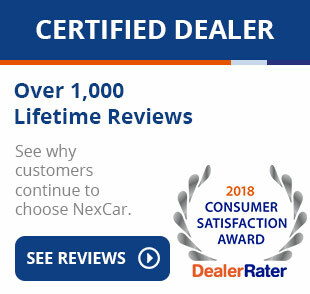 Here is a direct link to our DealerRater page so you can see what our loyal customers are saying about their experience at Nexcar. Acura car and SUV, Audi car and SUV, BMW, Buick, Cadillac, Escalade SUV, Chevrolet car, SUV and truck, Chrysler, Dodge car, GMC car, Ford, Honda car and SUV, Hummer truck, Infiniti, Jaguar, Jeep, Kia car and SUV, Land Rover SUV, Lexus car and SUV, Lincoln car, SUV and truck, Mazda car and SUV, Mercedes Benz car and SUV, Mercury car and SUV, Mini Cooper car, Mitsubishi car and SUV, Pontiac, Ram truck, Saturn, Scion, Subaru, Suzuki car and SUV, Toyota car and SUV, Volvo, Volkswagen car and SUV. And while some of these makes and models are not shown as active listings in our active inventory, feel free to call or write us. Some of the cars might be currently in transit from one of our trusted vendors either to be inspected, detailed, or acquired from one of our warehouses. 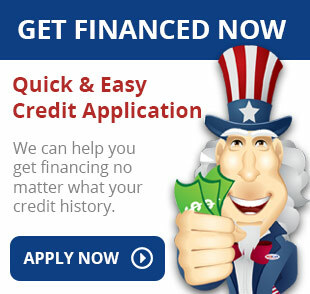 Get a deal done fast! If you found the car you want, you have the list of purchase requirements ready and want to make a purchase right away, just contact us and say "I'm ready for my Nexcar" and we'll fast track you to a live inspection, test drive, and get the paperwork ready! 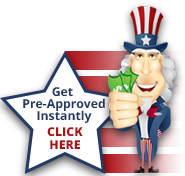 Easy access to the most up-to-date internet car buying tools: you can quickly view our current inventory, request a test drive, apply for financing, or even get door to door directions to our dealership. If you don't see what you're looking for let us know and we can find it for you.